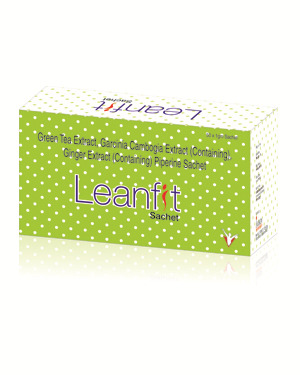 Green tea extract 400mg + Garcinia cambogia extract 150mg (containing 60%HCA) + Ginger extract 20mg (containing 1.5% Gingerol) + Piperine 5mg Sachet. > Contains catechin which effctively prevents rebound weight gain. > Reduces the body fat percentage and inhibits the accumulation of new fat. > Increases Thermogensis by enhancing the energy expenditure and fat oxidation thus helps in weight regulations. > Contains Hydroxycitric acid (HCA) which causes weight loss by competitively inhibiting the enzyme adenosine triphosphatase -citrate-lyase. > Enhances serotonin level & give a feeling of fullness. > Prevents conversation of carbohydrates into fats. > Promotes gastric secrtion and inhibits gastric emptying. > Decreases serum cholesterol levels significantly. > Improves insulin sensitivity thus reduces lipid levels.